The rumors have been confirmed: the Portland Trail Blazers are bringing in the NBA’s national radio voice into the both for all 82 games next season. 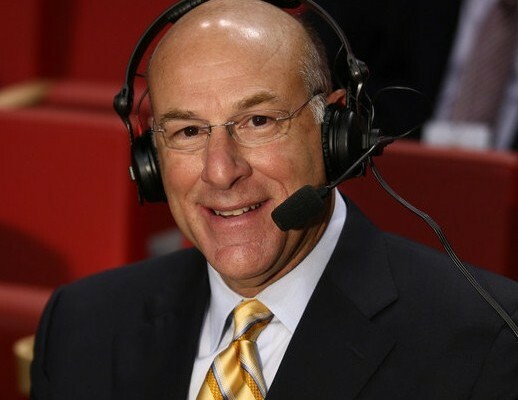 Kevin Calabro is the new Blazers play-by-play man for the foreseeable future. Calabro, who was the Seattle Supersonics play-by-play man for 21 seasons until the team moved to Oklahoma City, has been the lead voice of ESPN Radio’s NBA coverage. Calabro hasn’t taken an NBA team job since 2008 but has been a prominent broadcast voice on ESPN Radio, NBATV, TNT and the Pac-12 Networks. He told Casey Holdahl of TrailBlazers.com why he didn’t take a gig outside of the Northwest. The team is weary of the Seattle connection, given Paul Allen and Vulcan Inc.’s Seattle roots. DirecTV-owned ROOT Sports, who broadcasts the Seattle Mariners and Portland Timbers, is based out of Seattle. However, it does not appear that the Calabro hiring has anything to do with that. He has worked for pretty much every network, which most broadcasters do. This was about bringing in one of the best in the business. 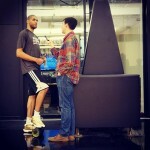 According to Holdahl, McGowan approached Calabro as he called games during Portland’s series against the Golden State Warriors. “Many people in our organization have admired Kevin through his work with the Sonics and ESPN, so we reached out to gauge interest and begin conversations during our playoff series with the Golden State Warriors,” said McGowan. “After several long conversations we determined there was mutual interest and were able to work towards a deal that was just finalized. The decision to remove Mike Barrett and Mike Rice from their posts, as well as radio analyst Antonio Harvey, was one that did not go down easy. You may not know Calabro if you aren’t a die-hard NBA fan who occasionally listens to basketball on the radio. However, his voice will soon become a familiar one in the city and his talent has landed him the call for the NBA Finals for the last few seasons. If you want to get a taste of Calabro, tune your radio to 1080 AM The Fan on Sunday night when he calls Game 7 of The Finals with Hubie Brown. No word yet on who may join him in the booth for the broadcast but they have already locked in their play-by-play man for the future.